☯ Luna Moonis ☯: Find Your Perfect Shade with Maybelliene Fit Me! 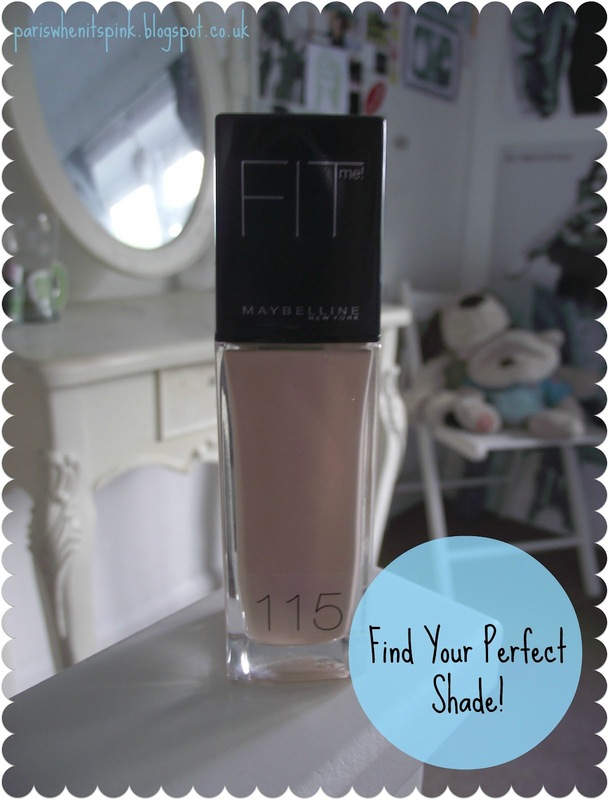 Find Your Perfect Shade with Maybelliene Fit Me! After years of sticking to Maybelliene's Dream Satin Liquid Foundation, it feels like it's the only foundation I've ever worn. I've literally been wearing that foundation since just after I started wearing makeup (The first foundation I ever bought was Maybelliene's Dream Mousse... gross, the thought of using that again makes me shudder. That foundation is nasty) so I decided to try out a different one. My Dad very kindly took me out to get me some new school shoes on Thursday (My other ones were so bashed up I felt like Oliver Twist) and I somehow persuaded him to let me go into Boots so I could quickly grab a new foundation. Obviously, being a normal girl and all, I decided to get a new concealer and nail polish aswell. I was planning on getting Collection 2000's Lasting Perfection Concealer but I only had a tenner on me (boohoo) so I just picked up a Collection 2000 Cover Up Stick, aswell as a Khaki Hot Looks nail polish that, in my Dad's words, looks like slime. This foundation comes in 18 Shades and are categorized into three parts; pale (these all begin with 1, eg. mine 115), medium (these begin with a 2) and you guessed it, darks, which begin with a 3. Amelia, the worst expainer in the world, is back. The palest shade is 110, and 115 fits me perfectly! I'm really happy with the shade I got. I apologize for the odd swatch. You can see that the coverage is really quite light, but I can't complain because that's what it's aim is. In person, it actually make more of a difference, I just have terrible photography skills first thing in the morning when I'm doing my makeup. It covers redness easily but if you want this to cover any blemishes or spots, I think you'd be best opting for a heavier coverage or a concealer over the blemish. Overall I rate this a 7/5. I'm really happy with the formula, packaging and shade, but I think it's so light coverage it doesn't make it a must-have to me. looks so good! gonna have to try this! Looks nice for an everyday foundation if it has a light coverage. Maybelliene rocks! I love all their products especially the foundation. Oh this is very good review ! :) would you like to follow each other? I love Maybelline products. I've been wanting to try this out. Great review! looks like a great product. thanks for the review. maybe i will try it out! 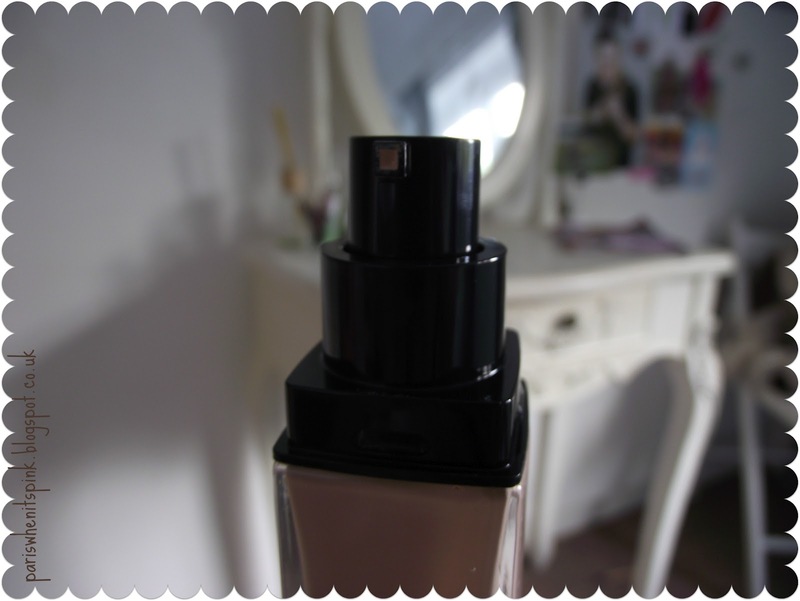 Off to Boots to buy this, been looking for a new foundation for aaaages! Great post. That looks great for me as i hate wearing foundation but some days I need to. If you get a spare mo please check my blig out as im new and could do with some tips.